Will a Radical Plan to Save New Zealand's Birds With Genetic Engineering Work? That the kiwi bird still exists at all is something of a marvel. Its native New Zealand has no endemic land predators, and so the bird evolved to be flightless. Today, its nests on the forest floor are under constant attack by invasive species—opossums, rats, feral cats and the occasional misbehaving dog. Despite conservation efforts, there are less than 70,000 kiwi left in all of New Zealand. The country loses about 20 kiwi birds a week. But a radical new plan imagines modern technology as the key to saving New Zealander’s namesake kiwi, and other native birds threatened by invaders: scientists want to use a genetic engineering technique known as a gene drive to stamp out invasive rodents for good. Gene drives allow scientists to override natural selection during reproduction, in theory allowing for the alteration of the genetic makeup of large populations of animals in a relatively short amount of time. A story today in the MIT Technology Review reports that scientific teams in Australia and Texas have successfully engineered mice to only birth male offspring, a bias meant to drive down mouse populations on an island. It’s the first time a gene drive has ever been used in a mammal. The scientists are working with a US conservation group, but the New Zealand government has suggested it’s open to using genetic engineering to deal with its own invasive problem. This is not the first time that gene drive has been proposed as a means of conservation. In Hawaii, gene drive have been floated as a solution to the disease-carrying mosquitoes that threaten native bird populations. But there, the idea has been met with fierce resistance from environmentalists and native Hawaiians, and gained little traction. In New Zealand, the idea may find more support. Last summer, the government announced a bold plan to eradicate all wild predators by 2050. It invested $28 million in a new joint venture company, Predator Free New Zealand Ltd, with the stated goal of achieving a “scientific breakthrough capable of removing at least one small mammalian predator from New Zealand entirely” by 2025. The country’s Department of Conservation has suggested genetic engineering just might be that breakthrough. “To think we are going to become predator free without poisons distributed from aircraft and/or genetic engineering could be viewed as overly optimistic,” New Zealand Department of Conservation scientist Josh Kemp told a New Zealand news site after the announcement. But while gene drives are highly controversial, inspiring panic about scientists accidentally unleashing a poorly-engineered creature that wreaks ecological havoc, it’s still unclear whether the technology will actually work in the wild. Gene drives thwart natural selection by creating a so-called “selfish gene” that gets passed down to its offspring with more consistency than the rules of inheritance would allow, eventually spreading through an entire population—in theory. But recent research has suggested that wild populations will almost certainly develop resistance to lab-engineered modifications. In late 2015, researchers reported that while a CRISPR gene drive had indeed allowed an infertility mutation in female mosquitoes to be passed on to all offspring, as the mutation increased in frequency over several generations, resistance to the gene drive also emerged. “These things are not going to get too far in terms of eradicating a population,” Michael Wade, an evolutionary geneticist at Indiana University Bloomington, recently told Nature. Of course, should scientists find a way around that hurdle, there are still plenty of obstacles. In the wild, the engineered mice might not be as successful in competing for mates. And while they may succeed in eradicating mice populations on small islands, as the scientists are initially proposing in New Zealand, tackling the rodent population of New Zealand’s main islands is another thing entirely. Then there is the issue of public opinion. Resistance to the idea of messing with nature has made gene drives an incredibly fraught issue. At a recent meeting of the United Nations Convention on Biodiversity in Mexico, activists asked the UN to consider a global moratorium on gene drive. In response, the UN asked that scientists take heed of “social, environmental, legal, and ethical considerations” to develop the technology responsibly. The gene drive is a technology that is rapidly advancing. In the past two years, it has gone from being just a theory to a technique successfully tested in yeast, fruit flies, mosquitoes and now mice. The modified mice engineered by scientists at Texas A&M University were only born in the past two months, according to the Technology Review. It will take several generations of breeding to determine whether the male-only trait is successfully passed on to future generations, as hoped. As of January, the second team at University of Adelaide was still working on breeding its first generation of engineered mice. If they are successful, those mice may eventually be released on sea islands where mice have been known to prey on albatross chicks. 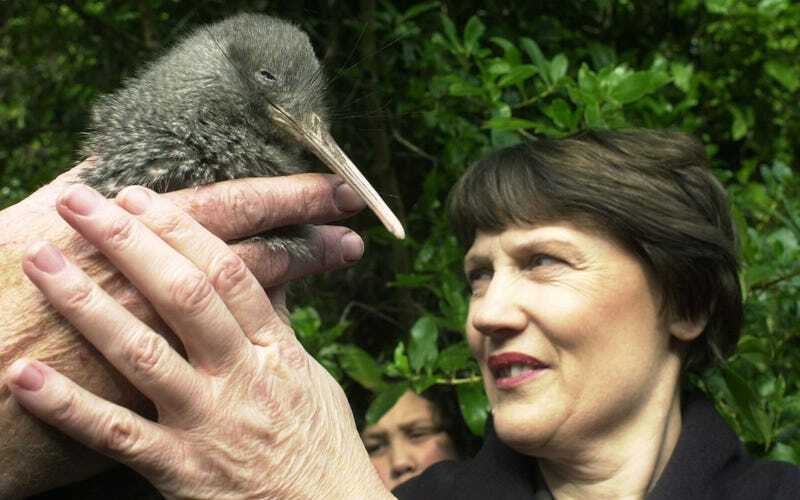 And if it all goes well, one day, those engineered pests may save the kiwi bird, too.